Whilst there are numerous video games about the second World War, there are only a handful revolving around the first World War and those are usually creative masterpieces. 11-11: Memories Retold happens to be one of those masterpieces without the gunpowder and fast-paced action sequences. Very similar to Valiant Hearts, the game draws strength out of the player’s perception and emotional state when having to deal with behaviors and feelings during dark times. How would you behave in a war that seems endless? At first, we meet the young Canadian boy Harry who works at a photography shop and is absolutely smitten by the owner’s daughter, Julia. The war in Europe was still ongoing after two years and yet an important figure walked into the photography shop. 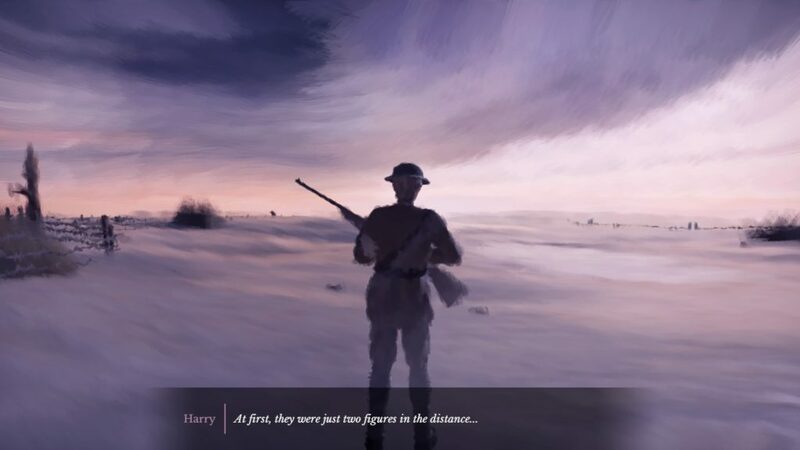 Harry notices Julia’s admiration of Major Barrett’s status and is desperate to prove his worth, to actively take part in the war albeit in a more poetic form rather than a soldier. He enrolls as the militant photographer, following Major Barrett wherever he goes, providing the propaganda the Canadians would need during these harsh times. The second story is about a German engineer Kurt who is working on a Zeppelin project far away from the Western Front. While fixing the radio at the hangar, Kurt discovers that several soldiers of his son’s regiment has gone missing. He tries to gain info on the regiment, particularly about his son Max, via higher ranked officers but to no avail. Eventually he decides to enroll for an engineering position at the war front, hoping to find clues about his son’s whereabouts. As we follow the two stories on either side of the trenches, during various periods leading up to the Armistice on the 11th of November in 1918, we learn that whilst both men have different motives for enlisting, they share a common destiny as they cross paths. What truly sets 11-11: Memories Retold apart, aside from the gameplay which we will discuss later, are the visuals. Too often are we spoiled with visuals close to reality and too often do we neglect games that opt for a more creative direction. It is a unique art style, similar to paintings with short brushstrokes and heavy impasto techniques such as the works of Monet and even Van Gogh, with each brushstroke forming an abstract yet recognizable object or setting. Though the lack of detail can be an unpleasant experience comparable with motion sickness, it is a very personal matter whether you will experience any undesirable feelings or not. The lack of structures such as the grain in wood did not disturb us much as the most important landscapes and items were still recognizable. The difference between grassy meadows and the clear waters, between the muddy trenches and the skies is still clear as day. The only downside is that the collectibles were difficult to spot at times due to the brushstroke art style. The sound design is a mixture of ambiance sounds such as burning fire, footsteps on wood and distant guns blazing, an atmospheric soundtrack as well as great voice acting. Harry is being voiced by Elijah Wood whilst Kurt is voiced by Sebastian Koch, two good names who truly bring the characters to life. Aside from the two protagonists, all other characters found in the game have their own voices, which makes it truly narrative-driven. 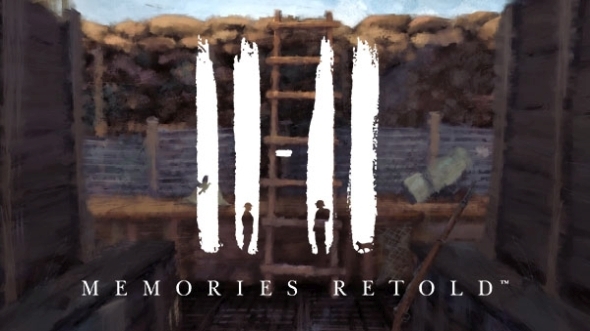 11-11: Memories Retold is an adventurous puzzle game that gives the player the illusion of having the ability to freely roam and explore the areas on either side of the trenches but in reality, it is a very straight-forward and linear gameplay experience and there aren’t that many buttons to press. With the left stick, you move your character around while the camera can be moved around with the right stick. L2 is used to crouch and R2 is used to run, so the controls are very simple. 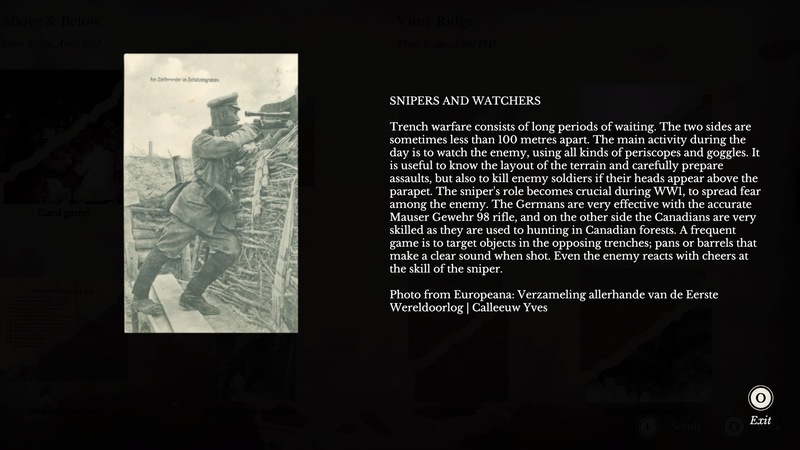 There are two characters you’ll be playing as, the Canadian photographer Harry and the German engineer Kurt. When playing Harry, you’ll be given the option to take photos. Some of these photos are required to advance in the game, but there are many more photos you can capture additionally, which makes a single action have two purposes; once as a task and once as the photo mode we are used to. Both the L2 and R2 buttons have a secondary action, namely changing the camera lens. Kurt doesn’t have a special ability but as he is a soldier, you get to deal with things that Harry doesn’t deal with. The objectives are always very clear but finding the right place or person to deal with isn’t that clear due to the lack of a map or NPC names. This is only a small part of the puzzle aspect of the game, a very small part in fact as the areas you can explore aren’t that large. 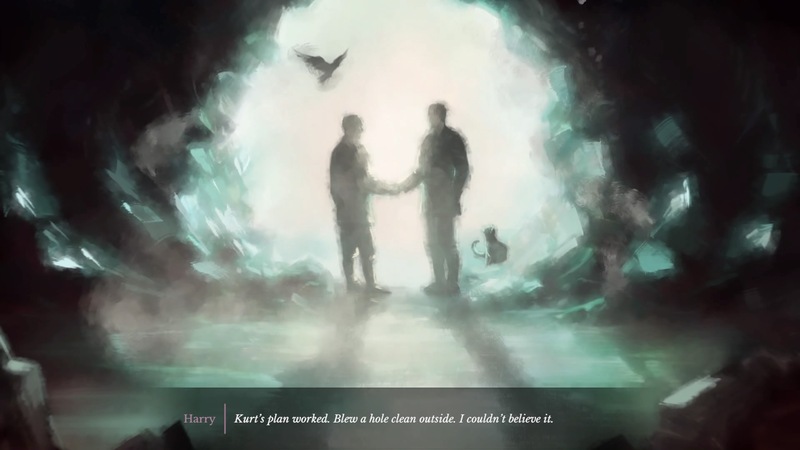 As Harry’s and Kurt’s paths will cross, you’ll be given the option to choose which character to play as by switching to either Harry of Kurt. This mechanic is very similar to the one we’ve seen in Earthlock: Festival of Magic. By being able to control several characters, including a third one we wouldn’t want to spoil, the game offers a nice change of pace. As we mentioned before, the gameplay is pretty linear while you complete objectives. Therefore, the choices that you make don’t seem the weigh through until the very end as the game comes with seven different endings; each with their own consequences. As for replay value, there isn’t much unless you want to see all the endings. Luckily there is a chapter selection so finding all those collectibles feels less like a chore. 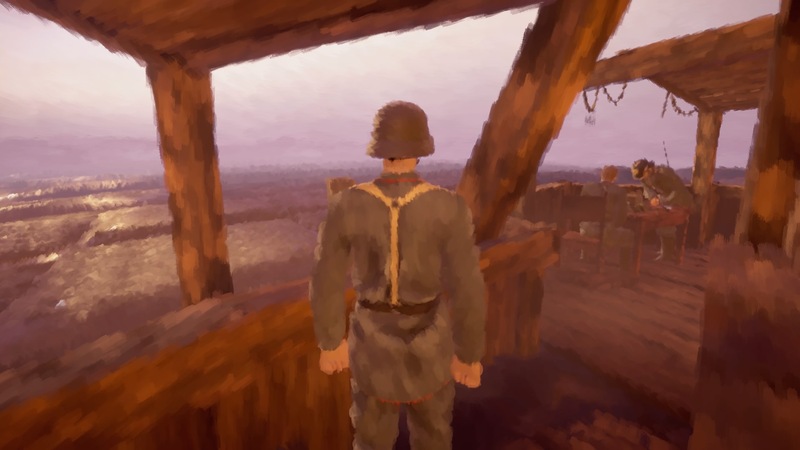 11-11: Memories Retold is not your typical war game and it may not be the greatest narrative-driven video game there is, but it is a game you should experience at least once, whether it is to experience the creative art style, the great voice-acting or the emotions that come with morale questions. The puzzles aren’t too mind-breaking and there is little to no replay value except for the different endings and collectibles; but this shouldn’t stop you. All-in-all, we were pleasantly surprised by the story arcs and the ultimate choices we had to make.